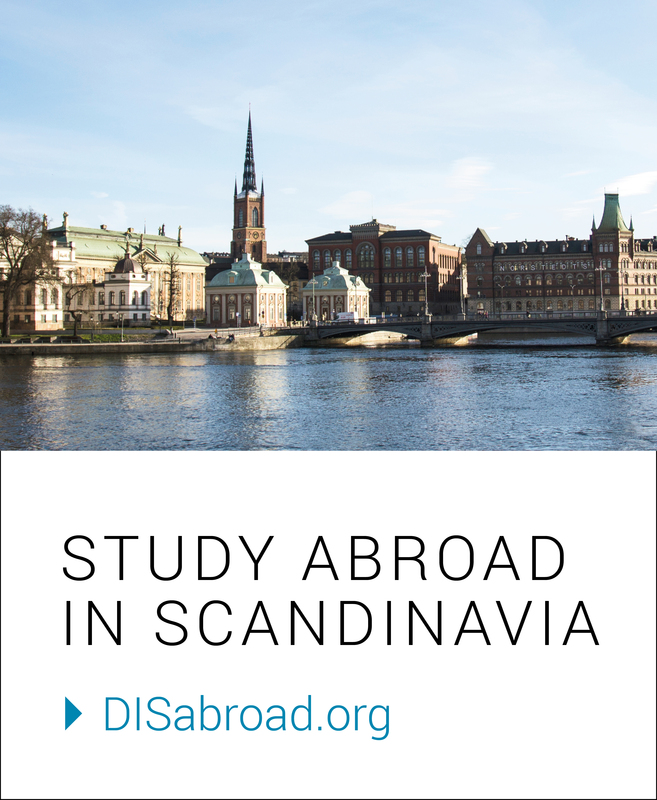 During Colleen’s year abroad, she lived with a Homestay in Frederiksberg, a neighboring town adjacent to Copenhagen. Upon enrolling at DIS, she knew that this housing option would get her closest to the local culture. DIS: Why did you choose to live in a Homestay during your semester? Colleen K.: I really wanted the opportunity to be immersed in the people and culture of the city I was studying abroad in, and I was certainly able to get that by living in a Homestay. DIS: What was your favorite Danish tradition they introduced you to? CK: I have many answers for this question – it is hard to choose a favorite. One tradition that I found particularly fun is having a kagemand (literally, a “cake man” – a pastry shaped like a person decorated with licorice, marzipan, and gummies) for birthday parties and screaming when you cut off its head! DIS: What was a family tradition from your home that you brought to their family? CK: Thanksgiving. I had never spent Thanksgiving away from home before, and I was so grateful to have had such a great experience celebrating with my host family. We had a full Thanksgiving meal, complete with turkey, potatoes and gravy, and cranberry sauce. DIS: What was one of your most memorable cross-cultural moments with your family? CK: My host family actually visited the U.S. after my time in Copenhagen. It was really fun to see them experience my neck of the woods, so to speak, after living in theirs. I really enjoyed seeing our cultures weave in and out of each other as we experienced different places together. DIS: You are now back in Copenhagen as an intern with DIS. How was your reunion with your family and have you kept up any old traditions with them? CK: It was a great reunion! Upon being with them again, it was like I had never left (except that my host sister was much taller than when I had last seen her!). We have definitely kept up with some old traditions and started some new ones as well. DIS: Do you have any tips for future students for bonding/breaking the ice with their host family? CK: I would suggest being open with your few host family and willing to try new things! Don’t be afraid to ask questions and be silly – sometimes those moments are the best in allowing you to open up to your host family and break the ice. For example, the face you make when you try salty licorice for the first time will certainly make your new host family laugh! Embrace all of the memories and don’t be afraid to be yourself. Previous Face to Face with Faculty: Jan Holmgaard, Ph.D.